Spelling Power Activity Task Cards Make Spelling Fun-da-mental! Spelling Power Activity Task Cards Make Spelling Fun-da-mental! 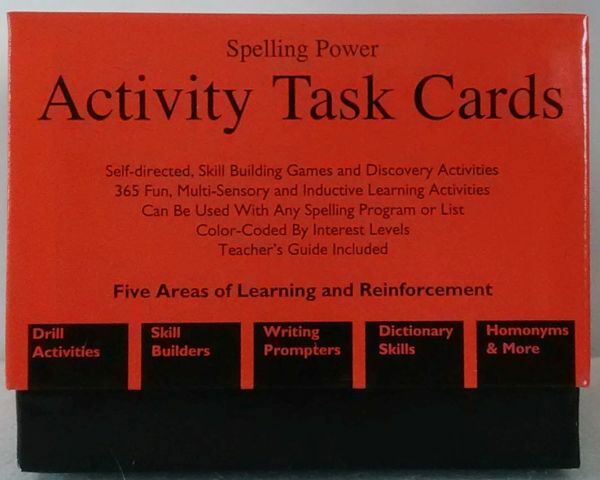 Spelling Power Activity Task Cards are the fun way to master spelling words and strengthen language arts skills. 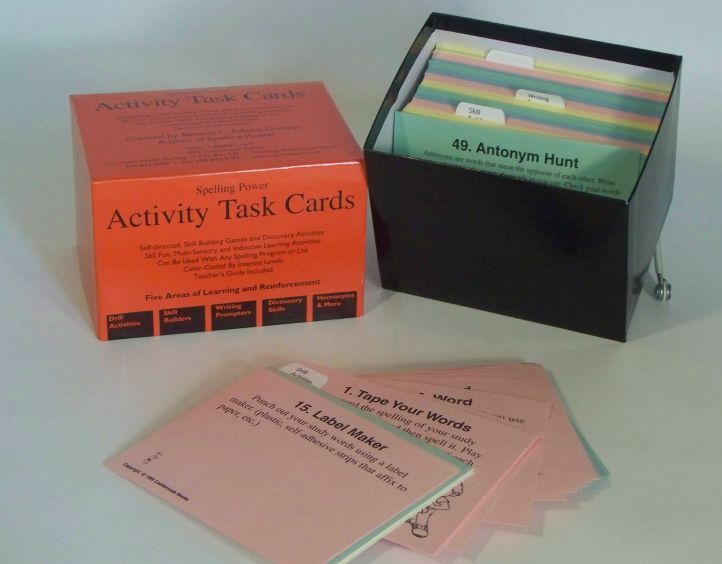 The Activity Task Cards give you hundreds of ways to make spelling easy-to-teach and easy-to-learn. 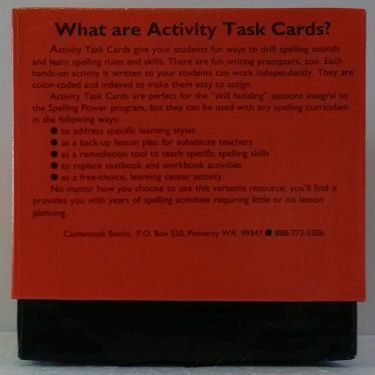 Just like the Spelling Power manual, the Activity Task Cards box covers interest and ability levels ranging from eight years old to adult level. 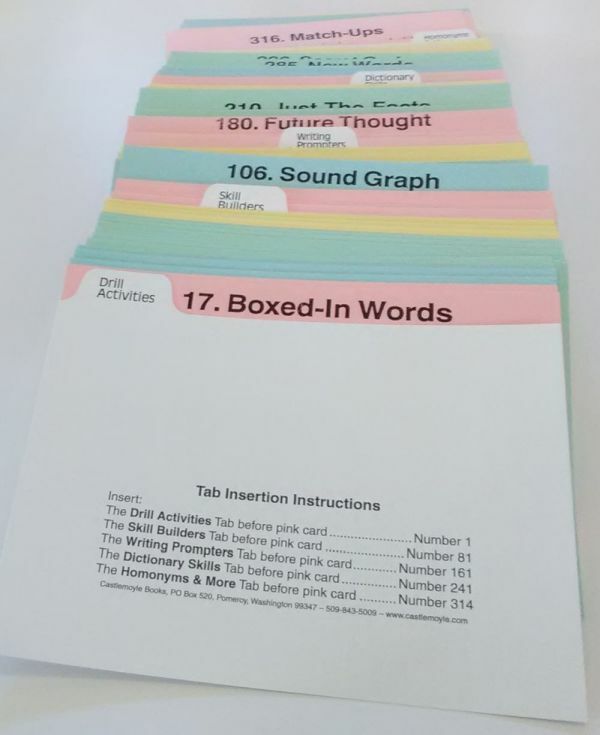 You will find the Task Cards easy to use, because each card is numbered and is color-coded to show ability-interest level. Each instructional activity requires just five to ten minutes for your students to complete on their own during the skill-building portion of daily Spelling Power lessons. 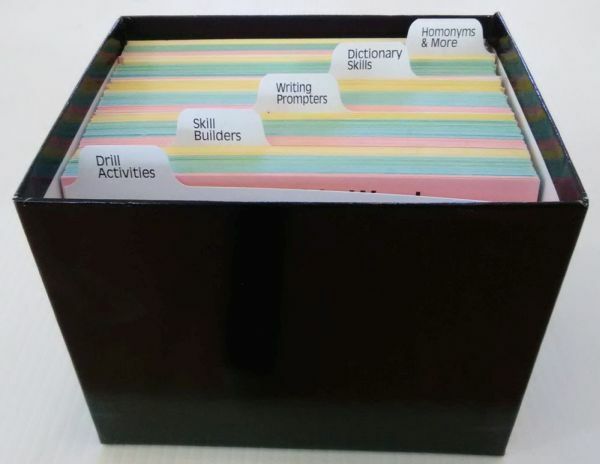 You only need one Activity Task Card box for your entire family. The Spelling Power Activity Task Cards deliver FUNdamental learning with little or no teacher involvement. The enhanced, online Teacher's Guide and the Skill-building Activity Chart in the Spelling Power manual virtually eliminate lesson planning. You are viewing the Spelling Power Activity Task Cards. 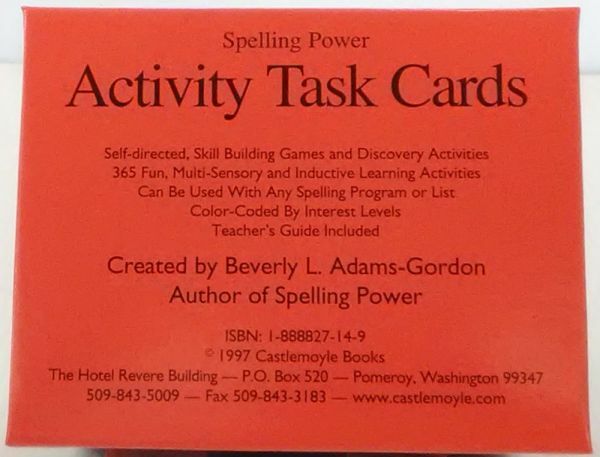 Task Cards sell for $32.95 plus shipping and are available from www.SpellingPower.com or from Castlemoyle Books at 509-843-5009.